You don’t have to be a master gardener to create a fun garden for your kids. Liven up your backyard with these rock garden craft ideas. Paint the rocks on all sides with a couple of coats of green acrylic paint. Paint a tiny rock with pink acrylic paint. Once all of the green rocks are dry, use a white paint pen to draw the spikes on the cactus. Use a pink permanent marker to draw a flower on the small pink rock. 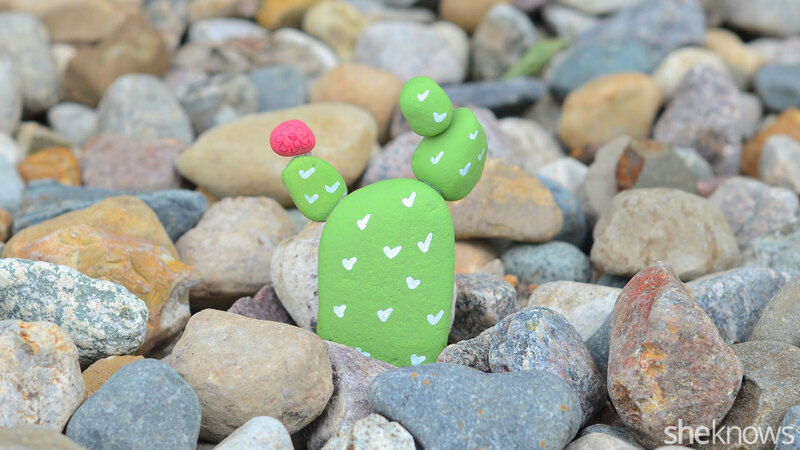 Assemble the cactus by gluing the rocks together using the outdoor adhesive. Let the glue set for 24 hours before placing the cactus outside. 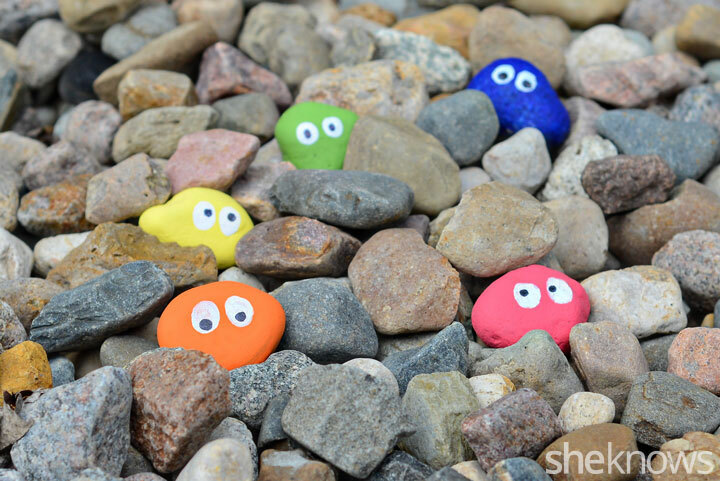 Paint all sides of the rocks with the colorful craft paint, then let them dry. Paint 2 eyes on each of the rocks with white paint. Once the white paint has dried, use the black permanent marker to make the centers of the eyes. Draw them so that they are looking in various directions. Coat the rocks with acrylic sealer to help them stand up to the elements outside. 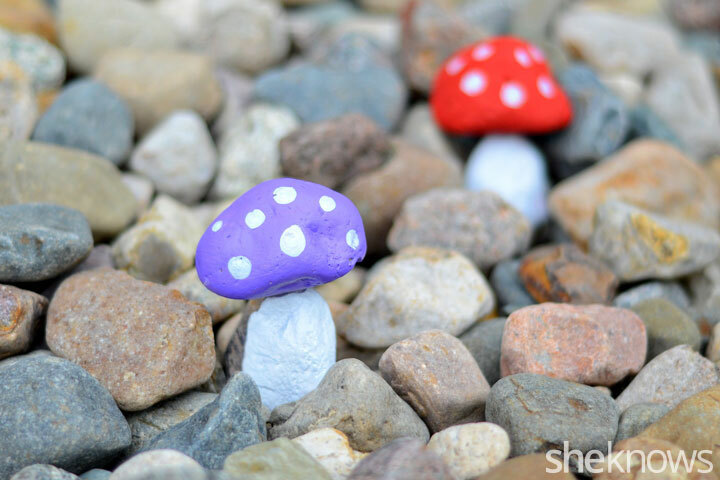 Find some dome-shaped rocks and paint them with the colored acrylic paint to make the top part of the mushroom. Find some long, skinny rocks and paint them white. These rocks will become the stem of the mushroom. Use the outdoor adhesive to glue the dome-shaped rock on top of the white rock to form the mushroom. Paint white dots on the top side of the mushroom, then place the mushroom outside in your rock garden. Clean off the rocks with a cloth, then apply the star-shaped stickers to the rocks. 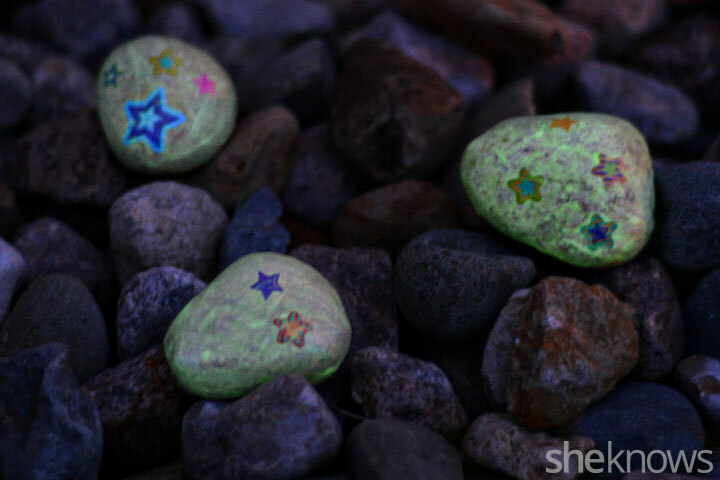 Paint over the entire rock, including the sticker, with the glow-in-the-dark paint. Once the paint is dry, place the rocks in your garden. The stones will charge by the sunlight all day and glow after dark.